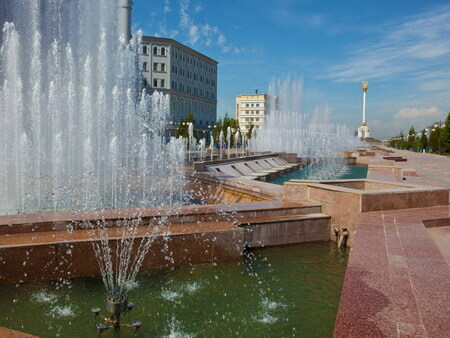 Dushanbe is the main city of Tajikistan where trips usually starts towards Pamir and Tyan-Shan mountains that cover practically the entire territory of the country. These particular mountains are the principal touristic sights of Tajikistan. Eco-tourists are attracted by its beautiful nature and interesting hiking routes, trekking and alpinism, and in winter, the place attracts lots of fans of skiing. 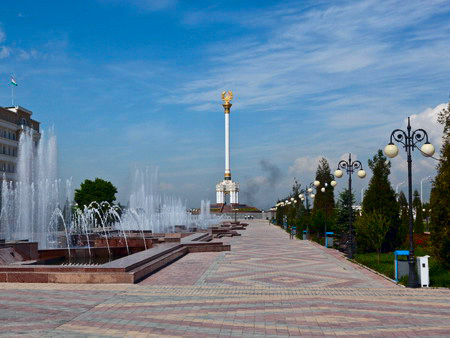 Dushanbe tours will open up the City of Gardens, named for the abundance of green park zones. Indeed, one can see many parks and a big botanical garden crowded with locals on summer evenings. 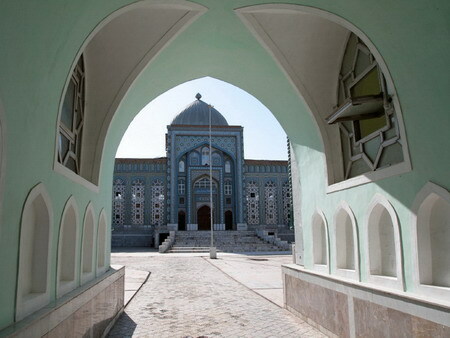 There are not many architectural sights in the Tajik capital and mostly concentrated along the central avenue of Rudaki. There are Presidential Palace, government buildings, best hotels, squares with fountains, shops, offices, sculptural monuments, theatres and museums, as well as the 165m flagpole that had been recognized the tallest in the world until recent times, before it was cracked by the Saudi Arabia in 2014, in the city of Jeddah. 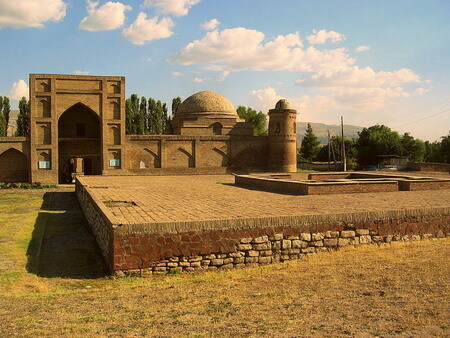 Dushanbe tours will introduce you to the historical Hissar fortress that was the residence of a vicegerent of the Bukhara emir in the 18th century. You will see ancient artifacts of the Zoroastrian and Buddhist cultures that are kept in Dushanbe National Museum of Antiquities. The most well-known artifacts are the 12m statue of “Sleeping Buddha” or “Buddha inNirvana”, the rare collection of books of the Ancient East people and original manuscripts of the greatest scientists, poets and thinkers of the medieval times: Rudaki, Ibn Sino, Saadi in the Republican library. Tours in Dushanbe include trips to the city bazaar where in summer there is a big assortment of fresh and naturally sweet local fruit and vegetables. You will have positive impressions from the local cuisine and national traditions and customs.